Many FarmVille farmers want money fast, or experience fast, or want to level up, or want to speed things up— make and earn things faster. No matter how long they play, they're not getting what they want, and that is to outshine everybody else. But you can't reach the top by simply playing the game. I doubt Robert Byrne had FarmVille in mind when he said that, but it somewhat rings true, although it's not really about self-respect, it's more about triumph and a yearning to be a superstar amongst Facebook friends. Sometimes, it's just the need to satisfy out nefarious impulses. Whatever your reason, if you want to succeed in FarmVille, you're going to need Cheat Engine. Now, to start hacking FarmVille on Facebook, for whatever you want! 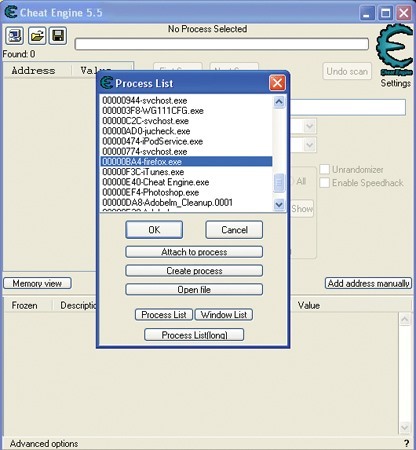 You need to be logged in as an Administrator to successfully install Cheat Engine. All versions of Cheat Engine work pretty much the same. This guide uses 5.5 as an example. Make sure you have downloaded Cheat Engine to your computer, then open the program, but don't do anything else. Now, open up your web browser, preferably Firefox, and log-in to Facebook. Open up the FarmVille application (you should already have a FarmVille account at this point). Now you need to make sure Cheat Engine is set up for FarmVille with your particular web browser. Click on the Process List button, and find either your game (FarmVille) or your web browser. For Firefox, look for a file that ends in -firefox.exe and click "Open". Now it's up to you to figure out what kind of hack you want to perform in FarmVille. If you want more experience points or more money. In this example, find how much money you actually have. You need to input a Hex Code next. In order to find the Hex Code, you're going to want to multiple whatever your money amount is by 8. So, in this case, 2,535 times 8 = 20,280. Now paste 20280 into the Value field in Cheat Engine. Now that you've entered your multiplied number into the Value field, click "First Scan". On the righthand side of Cheat Engine, in the Address / Value box, you should see some results listed with the value of 20280. In order to discern which Address you will need, you need to go buy something in FarmVille. Once you buy something in FarmVille and your actual money drops below 2,535, one of the Addresses will drop values also. Choose whichever address dropped value. 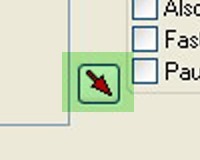 Highlight the Address and press the Red Arrow symbol to the right. The Address will drop below in the lower box. Highlight it, then right-click to view your options. Go to "Change record" and then "Value". The Value box will now open. Now, multiple the number that is already in the box by 8, and then by 8 again, and then again if you want. In this example, we'll only do it twice. The listed value in the box was 2200, so 2200 times 8 = 17600 times 8 = 140800. Now change the value in the Value box from 2200 to 140800 and select "OK". Now it's time to spend some money in FarmVille. Buy something, anything. Once you do, you will see your money change drastically, to whatever your multiplied number was, minus whatever you bought. So, if I bought something that cost 200, it would be 140800 - 200 = 140600. You should have 140,600 coins in FarmVille now. That's it. You're done. This doesn't always work. Not every situation is the same. You pretty much just need to fool around with Cheat Engine and FarmVille. Play with it and you'll get the hang of what you can do and what you can't do. A lot of the times, whatever you change will not save once you close Cheat Engine and restart FarmVille, so beware. And check out these other guides and sites to using Cheat Engine on web-based games. It could help you out. This is not a foolproof way of using Cheat Engine, but an overview to help get you used to playing around with it. Sometimes it takes a little finagling and persistence. A lot of times your hacks won't save. Sometimes, yes. But more often, no. That's how it is with most hacks with Cheat Engine. If you're using Firefox and want to use Cheat Engine on a browser game, then open plugin-container.exe instead of the Firefox process. That process will only exist when the game has already been started. To all greetings =) Please help)) it is impossible to crack lineage2 freya with if there is at someone a reference to plug-ins please throw to me on an offer mail box as it is possible crack still game can to write too there.